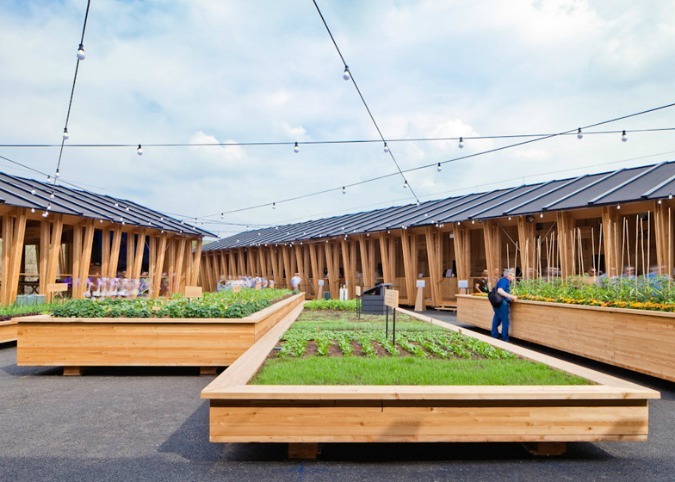 According to Slow Food, Herzog & de Meuron offer an alternative to the “pompous and unsustainable structures that would only distract visitors from the real purpose of the event”. 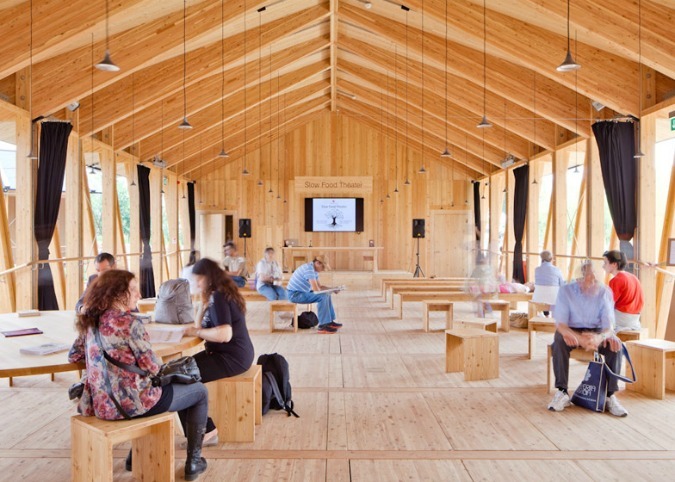 The designers’ Slow Food Pavilion comprises three simple wooden sheds, all of which offer shelter but due to their open sides are also exposed to the elements. 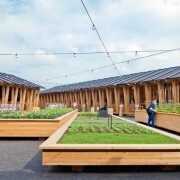 These frame a triangular courtyard furnished with large planting boxes, each containing rows of vegetables and herbs. The first contains an exhibition inviting visitors to learn about different foods, and the second contains tasting counters. The third is a space for talks and seminars. According to Herzog & de Meuron, the long and narrow structures were inspired by the traditional farmhouses of Italy’s historic Lombardy region. Once the Expo is over, they will be disassembled and transported to a selection of Italian schools, where they will be rebuilt and used as garden sheds. (source).